Also in the image are numerous other galaxies. 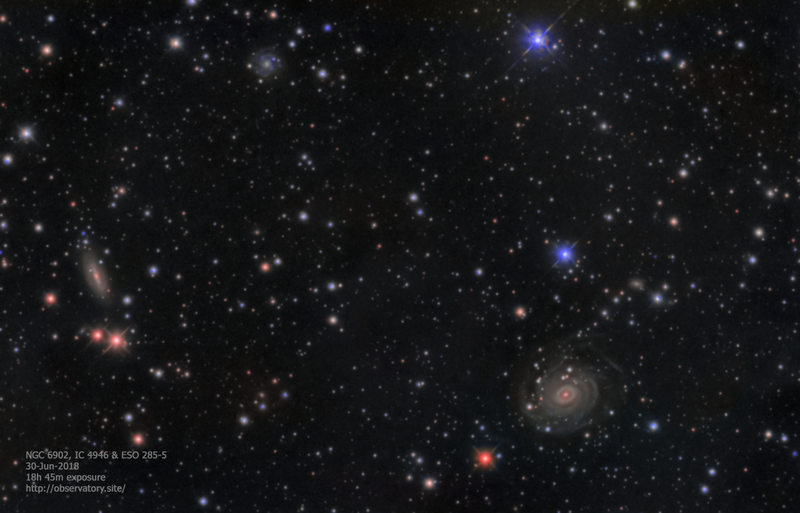 The 133 million light years distant barred spiral IC 4946 is to the far left, with spiral galaxy ESO 285-5 (NGC 6902B) 136 million light years distant at the top. Total integration 18 hours 45 minutes. PixInsight: Calibration, registration, integration, dynamic background extraction, noise reduction, histogram transformation, HDR multiscale transform, curves, star reduction, crop.